The V30S ThinQ, a smartphone that could hardly be called a meaningful update to the V30, is up for preorder for $929 in the US. The recently announced LG G7 ThinQ, often referred to as uninspiring, is expected to cost even more. LG's smartphone release prices are way too high compared to even top competitors like Samsung. 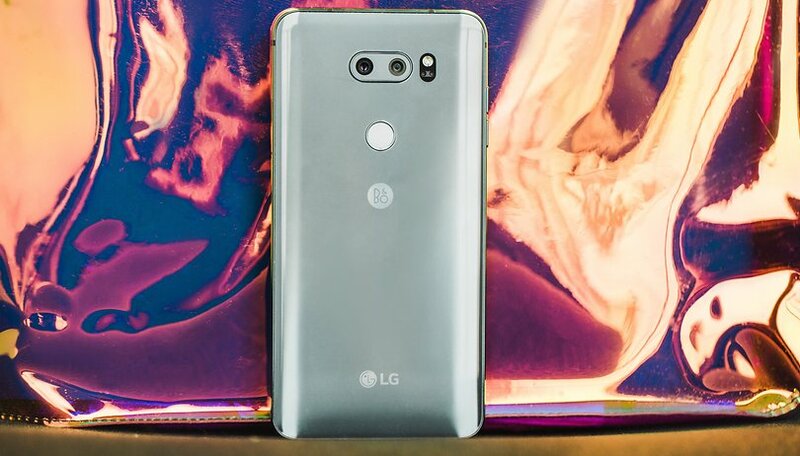 Can the G7 ThinQ save LG? With the LG V30, V30S ThinQ and G7 ThinQ, the lines between pricing, features and specs are beginning to blur. The AI Cam features of the new V30S ThinQ, which can recognize objects and optimize for different scenes, have already begun rolling out to the older V30 phones. That makes an increase in RAM (from 4 to 6 GB) the only big difference between the old V30 and new V30S ThinQ devices. The price also doesn't differ much. Last year's LG V30+ with 128 GB of storage sells for $912. B&H now has a listing for the unlocked, North American variant of the LG V30S ThinQ with 128 GB of internal storage, and it costs $929.99 to preorder. It's basically just $17 more than the V30 for an extra 2 GB of RAM. For the 256 GB version, the price is still unknown, but you can naturally expect it to be even higher. The same goes for the LG G7 ThinQ. So, that's all three recent LG devices with similar features, specs and prices. The price of the recently announced LG G7 ThinQ is still unknown, but we can guess that the 128 GB version will be over $929. It shares the same AI Cam technology as the V30 ThinQ and has an even better processor (Snapdragon 845 instead of 835). It also offers a notch and a hardware button for Google Assistant, two controversial but trendy choices. Although the LG G6 was released in the US last April at a relatively more affordable price, from $720 (AT&T) to as low as $650 (T-Mobile). We can expect the G7 ThinQ to carry a huge jump in price from those numbers. Since its specs top the V30S ThinQ, it will probably cost even more than $929. LG is pricing its phones at the top of the market. For a smartphone being called uninspiring by many (The Verge, TechRadar, USA Today and more), it's madness to expect the LG G7 ThinQ to be a popular choice at a price of over $929 for the 128 GB model (the 64 GB model would cost less, but still enough to face the same problem). It's equally crazy to think the LG V30S ThinQ can command a price of $929 given the competition it faces. Going up against the very best smartphones on the market, LG's pricing strategy just isn't competitive. Samsung's flashiest models right now aren't even priced as high. The Samsung Galaxy S9 (128 GB) sells for $769, the Samsung Galaxy Note 8 sells for $850, the Samsung Galaxy S9+ (128 GB) sells for $889. The Pixel 2 XL with 64 GB is $849, and with 128 GB barely costs more than the V30S ThinQ at $949. Is LG just being too cocky? Perhaps this strategy is an attempt to make the devices seem more premium. In the end, this is misguided, as demand for the brand's wares (or lack thereof) will push the price back down to where it belongs according to the market, as we've seen happen in the past. Though LG devices may launch with big price tags, the prices tend to drop quickly and steadily. For example, five months after its release, the G6 was selling for $300 less than its original price. Six months after the release of the V20, it could be found for $350 off. So, those who find LG's latest smartphones compelling would be well advised not to pay the full release price for any of them right out of the gate. Also, given how similar the devices are, it may even be worth waiting until the launch of the V35 ThinQ or the V40 ThinQ in the late summer/early fall to see if there are any strongly differentiating new specs or features among them. What do you think of the new ThinQ smartphones from LG? Let us know your thoughts in the comments! After the lack of updates for my V20 I have said my good-by to LG. They really are in La-la land with their pricing and I hope they R.I.P. People want value, I just bought a P20 for $575 (not counting a 15% eBay coupon) and yes I know I don't get a warranty unless I purchase a 3rd party. "Over $900 is way too expensive for an LG smartphone"
Didn't see any poll "Over $1000 is way too expensive for an Apple smartphone"
Anything coming from Samsung and Apple is OK for Tech-journalists no matter what the "value for money" is. Value is relative. Apple and Samsung have earned their spot. Apple has a bulletproof OS and great support. Samsung has lots of useful features and top of the line specs. I don't buy old models because I'd be upgrading more often knowing that out there these is something soooo much better. Personally, ANY smartphone isn't worth what they are charging for these high end devices. It's all flashy colors, stylish design...for what? Nothing. But, if you want to spend that much money, they'll sell it to you. 1,oooh dollars for an LG phone. Are you out of your minds. A 2017 processer, I guess that don't want to sell very many. This definitely spells trouble in LG land. Pinch me this has to be a nightmare. No wonder their mobile division is losing money. I fail to understand what they are doing. If you want out of the smartphone industry their going about it the right way! There has to be something. You can't honestly tell me a flagship = a mid range device. That's absurd.